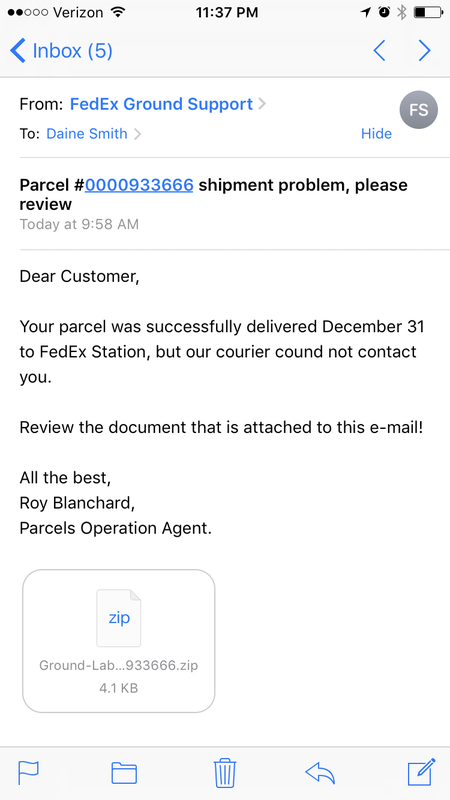 If you are receiving email alerts from FedEx, be aware it could contain a potential virus threat. 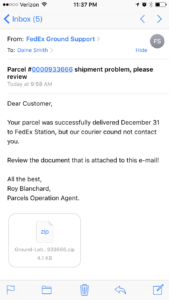 According to FedEx.com, there are fraudulent emails being sent to unsuspecting businesses and citizens announcing that FedEx has either attempted to deliver or has delivered a package and they need to download an attached document. 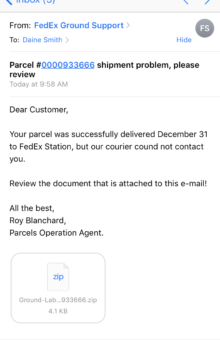 According to FedEx.com, the attachment could contain a virus and advises recipients to delete the email without opening the attachment. FedEx also says there is another version of the email that prompts the recipient to contact their office and gives a telephone to call. 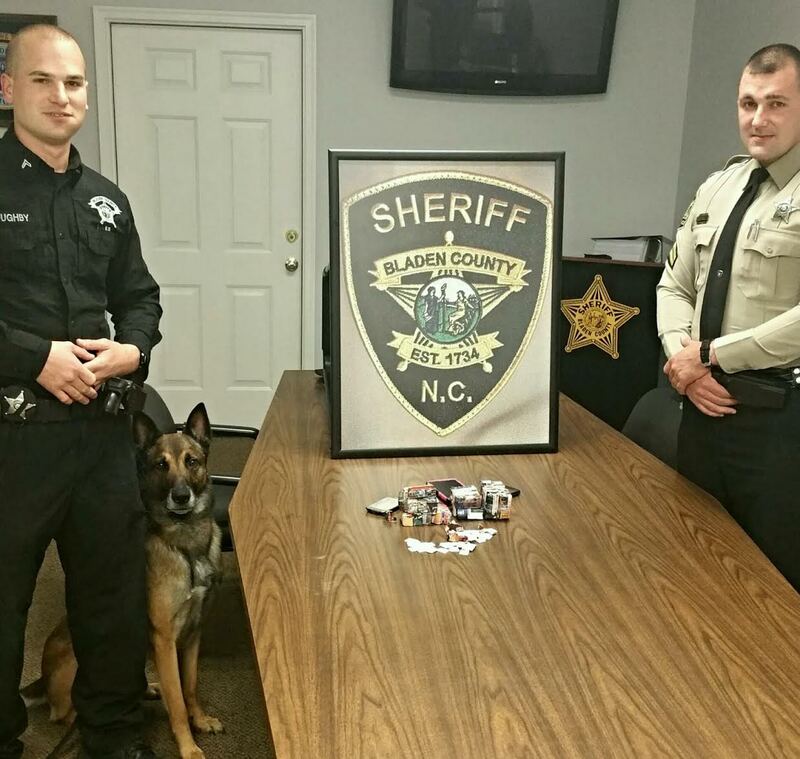 Once the caller makes contact, the scam artist will attempt to defraud the caller. Again, FedEx, urges the recipient of such an email to delete the email with calling the prompted telephone number. 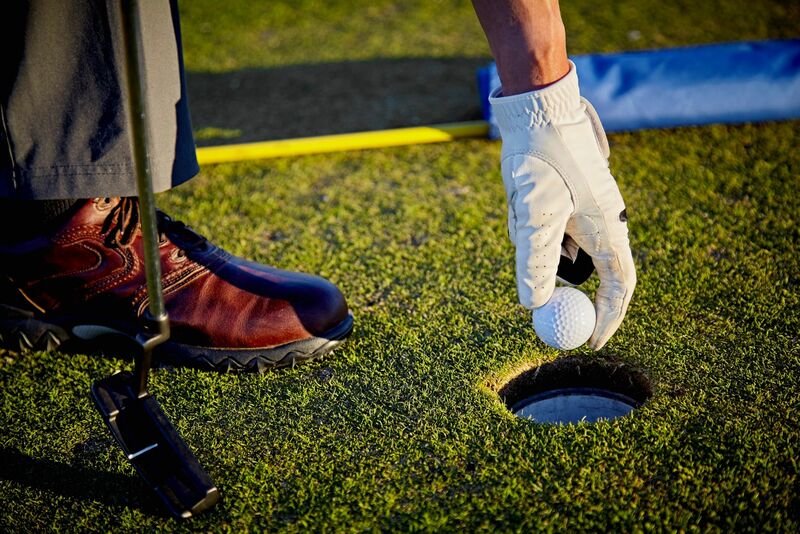 Don’t become a victim of a scam. Never give out any personal information over the telephone or through email. If you think you may have received a fraudulent email regarding FEdEx, the company requests you forward any suspicious emails to abuse@fedex.com.